Jackson, NJ - For the first time ever, Jackson Township will be transporting children on school district buses to yeshivas in Lakewood. With a growing number of Orthodox Jewish families moving into Jackson and sending their children to Lakewood schools, the township has been faced with steadily increasing costs for transportation services. 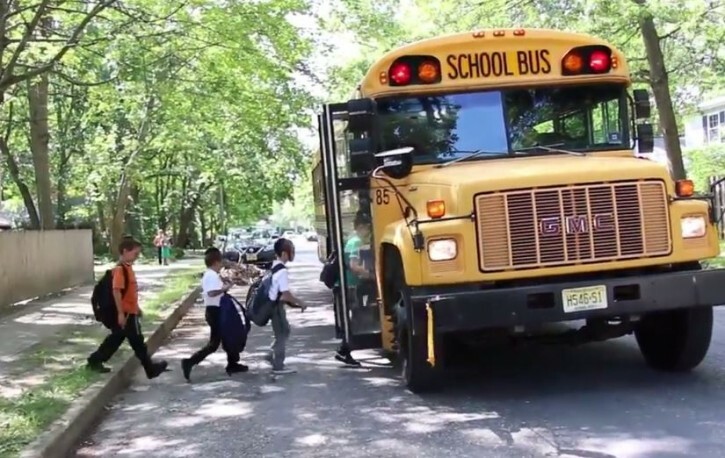 New Jersey state law requires districts to either provide transportation for private school students or to reimburse parents for busing costs, known as aid in lieu of transportation, with payments of up to $1,000 per student. There are currently no yeshivos in Jackson and the township has been sued by Agudath Israel of America for enacting tight restrictions that make their construction in the township virtually impossible, as previously reported on VIN News. Last year alone Jackson spent over $600,000 to provide aid in lieu of transportation payments for its private school students. The district did provide busing for an additional 62 private school students last year, most of whom attended the Donovan Catholic school in Toms River, as reported by the Asbury Park Press. Jackson will be busing approximately 200 of its 800 yeshiva students to Lakewood for the 2018 – 2019 academic year, hoping that economies of scale will result in cost savings. The details of the Jackson busing plan are still being finalized, said Rabbi Avi Schnall, director of Agudath Israel of America of New Jersey. The district plans to fill school buses by providing busing for township students who attend some of Lakewood’s larger schools, and to combine Jackson students who go to Lakewood schools that are relatively near each other on the same bus. The busing announcement is a positive development, said Rabbi Schnall, but one that will require parents to have patience. Rabbi Schnall praised the Jackson school district for its efforts, noting that the district has invested considerable time and effort into the new busing plan, which will save the district money. Rabbi Schnall warned that some students may have lengthy walks to their bus stops but said that he hopes that over time the wrinkles will be ironed out and that the plan could be expanded further in future years. Parents whose children are not being bused by the Jackson school district will still receive their aid in lieu reimbursements. Jackson’s aid in lieu payments have increased by more than 600 percent over the last three school years, with the number of students receiving reimbursements tripling over the same time period, according to the Asbury Park Press. Transportation costs account for about 3.6 percent of the district’s $139 million budget, with aid in lieu reimbursements for private school parents running approximately $19 per taxpayer. Other neighboring districts have also seen increases in their aid in lieu reimbursements costs, with a 39 percent jump over the past three school years in Toms River. Jackson school superintendent Stephen Genco said that the booming Orthodox Jewish population is the reason behind the district’s rising transportation costs at this time, but he noted that over the years aid in lieu payments have fluctuated, even before Jewish families began moving into Jackson. Comments on the Asbury Park Press Facebook page decried the development. good luck, the jacksonians don't want the corruption, welfare and entitements of Lakewood, this does not make them anti-Semites. How much does a student cost in public school? Jackson doesn't realize that it would cost them lots more it they didn't pay the busing. And if Jackson would allow local schools they would not be paying anything at all. Do they realize that these new residents are paying (more) property taxes as well? Where are the property taxes paid by these new residents going? Further, how did Lakewood's budget fare as a result? Any article should include these points. PS Perhaps those commentators on Facebook should re-enroll in the school of their choice to brush up on spelling. Or go get some 'counsel' from a counselor before going to vote at the 'council' meeting. The counselor may teach them a thing or two which might influence their vote. Who gave you permission to post pictures of people/children with out constant. I will be having my lawyer send you a legal notice. “ Who gave you permission to post pictures of people/children with out constant. My bro Munch says that in most places, it's legal. Also, children are people, so no need to write "people/children". This is your headline and it's wrong. When I was a little girl and living in Jackson on a farm, we were bused from the farm to the Betzalel Hebrew Day School--all of us who lived in Jackson and went to school in Lakewood were bused. We were on the same bus as the public school kids because that was before Jackson had it's own high school.